The existing ground floor concrete slab was installed in the 1990s and had insufficient polystyrene insulation. So, to improve things, we’ve excavated the ground floor to a total depth of 450 mm. 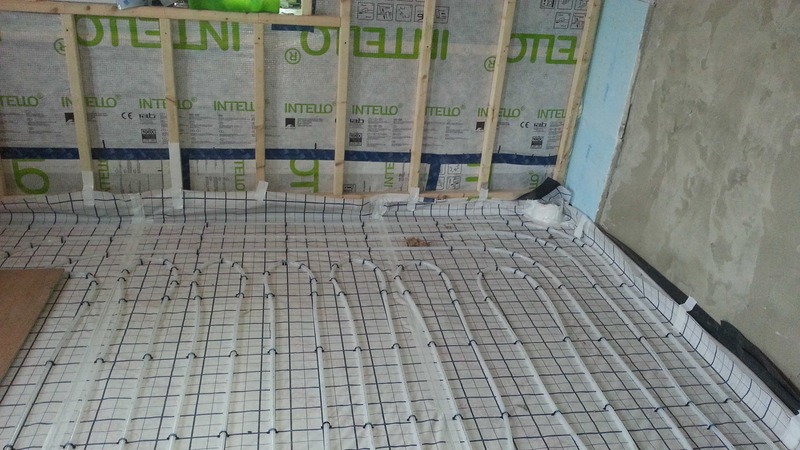 Continuity of insulation in the ground floor is ensured as the screed has a PU upstand, which integrates with the internal wall insulation. 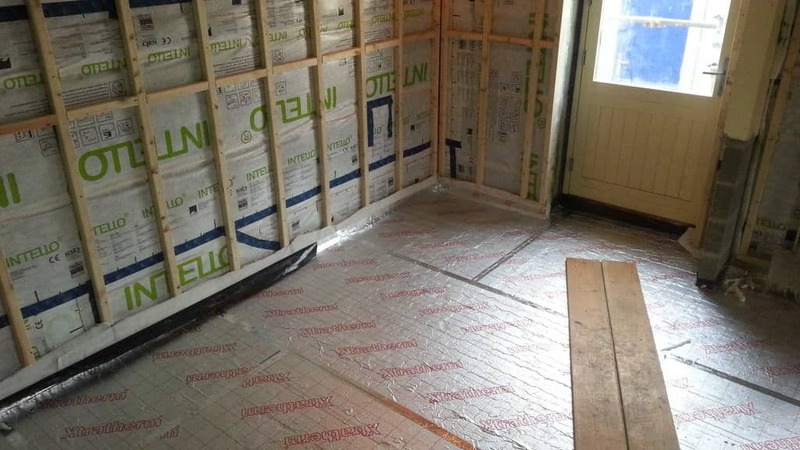 Our IWI strategy has involved moving the floor joists away from the external wall and parging the unplastered area in between and then run the internal wall insulation through, be it solid wall insulation or mineral wall insulation. The wall insulation then integrates with the ground floor and roof insulation so there is complete continuity of insulation. 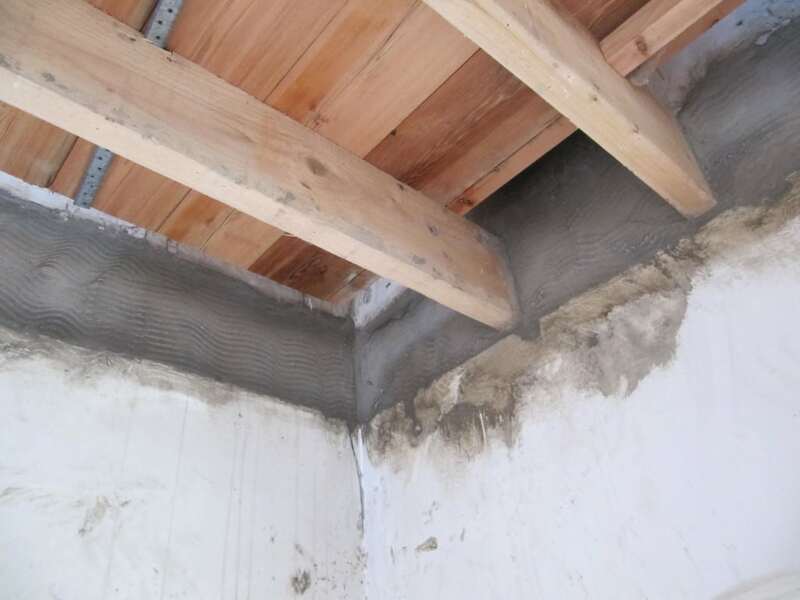 The Achilles heel in this retrofit, in terms of thermal bridging, is the old gable end of the barn (now an internal partition wall within the building) which acts as a thermal bridge both into the wall and into the ground. 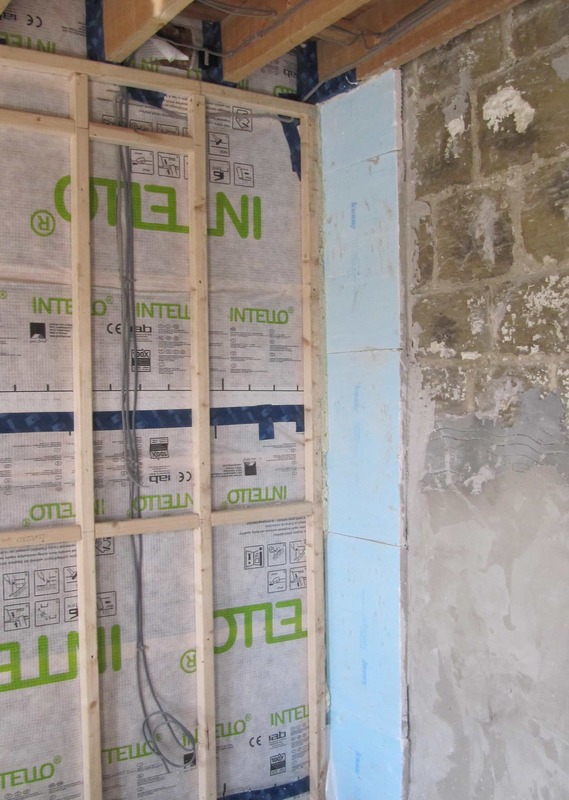 What we’ve done is use 30mm thickness of the TecTem IWI at a width of 400 mm on the return, as an anti-condensation measure so it keeps the first part of the wall warm-ish. On site the project is coming along well and is almost ready for second-fix electric and decorating. 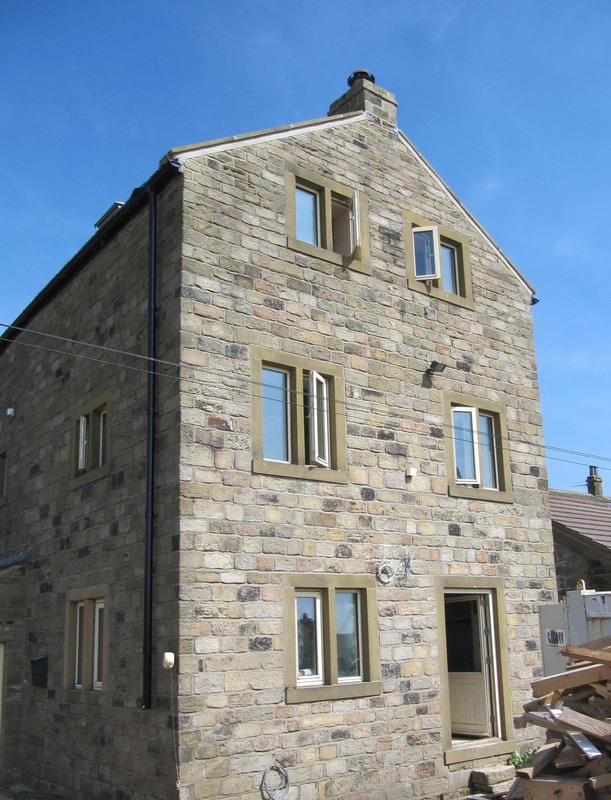 We’re hoping that our clients will be able to move back in before the Autumn!